I have previously expressed concerns about research in which the Humane Research Council (now Faunalytics) misinterpreted their data to make the case that we should be advocating for others to cut down on meat rather than promoting veganism. As I noted, their data actually showed the opposite of their conclusions and indicated that we should truly be promoting veganism rather than “reducetarianism.” Other flaws of the study were that there were no testable hypotheses based on theory and they misdefined veganism and measured it as diet only (rather than as an ethical stance against animal use). Also, they did not subject their findings to peer review, which is the standard practice in the scientific community. So when I saw that a different group, the Humane League Labs, had put out a recent study that similarly concluded that we should be encouraging people to reduce animal consumption rather than completely eliminate it, I was naturally skeptical. I read the full report, though, to see if their data matched their conclusions. As I suspected, they did not. The premise of this study is one that we have all seen before. 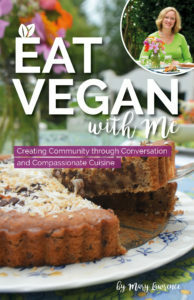 They administered booklets that “discussed the cruelty of factory farming and the health benefit of removing animal products from one’s diet.” Next, the authors used eight different booklets that made different requests- some asking readers to “eat vegan”; some asking readers to “eat vegetarian”; some that encourage readers to “eat less meat”; and some that encourage readers to “cut out or cut back on” meat and other animal products. As with the last study I critiqued, there are serious theoretical and methodological problems with this one. Once again, a major overarching problem with this research is that veganism is not properly represented. A vegan messaging approach would not only focus on “factory farming” but would discuss the ethics of using animals in all ways. It would also not focus on health. So again, if the authors are going to make any inferences about vegan messaging and its effectiveness, then truly vegan messaging should be employed. I am not going to review the methodological problems in detail but the approach used would likely not be considered acceptable if it were to undergo scientific peer review. The major issues include a low response rate (less than half) at follow up and no accounting for missing data (i.e., missing data analysis); reliance on “change scores” that is a fairly weak data analytic approach; a lack of clarity on whether participants were randomized into conditions; and unequal group sizes. What is far more concerning, however, is how the data were misinterpreted in a manner consistent with the worldview of this group. Those in the “control” condition reduced their meat and dairy consumption more than any other group. Moreover, the only statistically significant findings were those that demonstrated that those in the control condition reduced their consumption more than those who received different messages. In other words, the only “meaningful” finding from the main data analyses is that individuals reduce their meat and dairy consumption more when they are not asked to change anything than when they are asked to make some kind of change in their consumption. These counter-intuitive findings suggests that the methodological issues I previously reviewed may render this entire set of results to be questionable. In short, the findings don’t really make a lot of sense, and there is reason to be skeptical that we can take anything away from this at all. The authors, on the other hand, have interpreted results that were not statistically significant to conclude that the message to “cut out or cut back on” meat and other animal products “might be the most effective approach” to get people to reduce animal product consumption. These conclusions are unwarranted given the actual findings, the lack of statistical significance of differences between groups (except for differences showing those receiving no message decreased consumption the most), and the methodological issues that call into question the validity of the data. Pseudoscience is “a claim, belief, or practice that is presented as scientific, but does not adhere to a valid scientific methodology, lacks supporting evidence or plausibility, cannot be reliably tested, or otherwise lacks scientific status.” When a group frames a study and misinterprets flawed results to fit their preferred mode of advocacy, they are engaging in pseudoscience. Such practices appear to be all too common in the animal advocacy realm which is disappointing and potentially dangerous. The media and other groups report the conclusions from this research assuming it is valid. 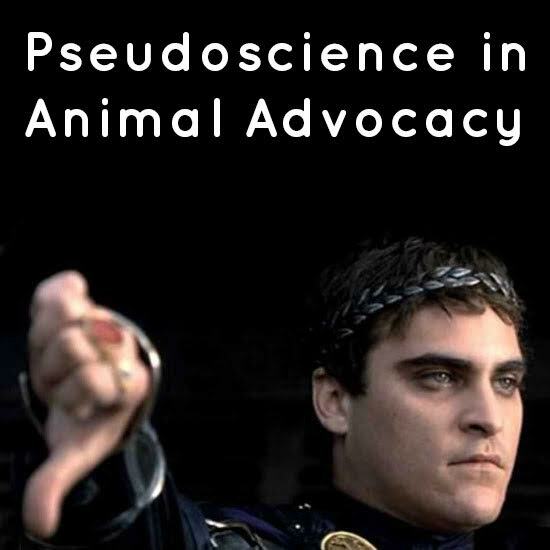 The organizations that conduct this kind of work can falsely claim that their form of advocacy is “evidence-based.” It is potentially harmful to animals to promote the notion of one form of advocacy as more effective than another based on flawed and seriously biased research. We can and must do better than this. I’m glad that you’re looking out for this sort of thing. The ethical concerns surrounding veganism are most certainly primary, and advocating anything but is dangerous to the success of any pro-vegan message. Reductionism is so totally non committal to improvement. Before you know it our whole message would be completely ignored again. If the best recommendation we have is “a plant based diet” – how much animal product is permitted ? The BEST answer would be none. Egg is not a plant. Is a “little” bacon just like a “little” plutonium, heroin, cigarette or trans fat? Thankfully the research seems to suggest that WITHIN the veg*an group the LESS animal products one eats the better the outcomes (for all concerned), and this is consistent with the news that meat has a similar “dose effect” – the more you consume the more adverse the (multiple) outcomes. Are we encouraging addicts to “just say less”? Did I get this right? Yeah — their message just wasn’t vegan ENOUGH! And it they did do the vegan message better and it didn’t win, it still wasn’t vegan ENOUGH! Vegan first, vegan only! All data be damned! While we can applaud people and encourage them for taking steps….our bottom line should be veganism. Encourage them all the way. I know I did not go vegan overnite – but I got there and I can allow others to make that journey. But telling them it is ok to only go part way is not being true to ourselves or the animals. 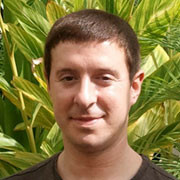 Check out his blog for a lot more clear thinking on Animal Rights issues. Are you conducting your own research? I know the Humane League research is flawed (it’s being conducted by people who have no research training), but if you’re only criticizing then how are you helping? How can you say your ideas are correct? Have you re-analyzed their data? This article is not about my ideas being correct. It’s about the misuse of science to promote an agenda. I think that there is value in pointing out this pseudoscience because it is potentially dangerous to the movement and to animals. But to answer your question, I have previously reached out to all of the main animal advocacy groups to see if they’d be interested in working with me on research in this area, and none expressed any interest. I have just joined a group of vegan researchers, though, and we do plan on conducting research on our own. This is all in addition to my other two jobs, as a researcher into intimate partner violence for which I’ve been traveling over the country teaching hospitals to implement my violence prevention programs, and as owner of Vegan Publishers. I have nothing to personally gain by pointing out pseudoscience. In fact most would say that I should not make waves as owner of a vegan publishing company. I just feel that the misuse of science is wrong, especially when the lives of nonhuman animals is at stake. Its poor science, but it is not pseudoscience. The claims it makes are falsifiable, and it doesn’t appeal to magical thinking or any effects that do not have a feasible mechanism. To be fair the demarcation between science and pseudoscience is up for debate, but if we are to accept your definition I think it would be hard to find many studies that are scientific, practically every paper will make some errors regarding stats, or disputable methods etc. And if you read some Feyerabend, many of the famous scientists that made significant advances never fully adhered to a “scientific” approach either, so I would not be so quick to describe something as pseudoscience. Anyhow I have no idea whether vegan messaging works better or worse than “cut out or cutback”. Do you have any links to any better studies”? I defined “pseudoscience” in the article and discussed how these studies meet the criteria. The claims these researchers made are completely unwarranted, and in at least one case the opposite of the data. The clear attempt to push a specific point of view in spite of the data, and without any effort to seek peer review, are hallmark features. The fact that this work is mostly conducted by untrained people is also a big warning flag. I don’t have links to better studies in animal advocacy because it seems that they don’t exist, but that is not justification for conducting pseudoscience. I don’t see the relevance other than to say that we need to be doing much better if we want animal advocacy to be empirically supported. I’m currently in the midst of an email conversation with Nick Cooney, the Director of Education for Mercy for Animals, about the study you discuss in this article. I mentioned this article to him and he responded with, “The study was vetted by a number of professional researchers before and after being done.” Is it possible to prove/disprove what he said? How does one determine if a study has been peer reviewed? You also mentioned in one of the comments that the research was done by untrained people. How were you able to determine that? Hi John, when a scientific report is peer reviewed, it gets published in a scientific journal. To say that “the study was vetted by professional researchers” means absolutely nothing. True research needs to be reviewed and critiqued by impartial, often anonymous reviewers. The manuscript is either than rejected by the journal or the authors are invited to submit a revision that is responsive to the critiques. Can you copy and paste where I said that the research was done by untrained people? I don’t see that anywhere and didn’t discuss it in the article, but for much of this work that I’ve critiqued, it’s not even clear who the authors were or what their credentials are. For the studies that list the authors, there may be a graduate student listed with several non-scientists. If what you’re saying is true, that untrained researchers conducted a study and only consulted with actual researchers before and after completion, that is unprofessional practice. This is just not how science works. People train long and hard to get to the point where they conduct research like this that can be considered credible. Thank you for the quick response and information, Dr. Taft. Everything you are saying about a study being peer reviewed make sense. But I would like to be better prepared for a counter argument from Nick and other people I talk to in the future. Is there a search you can do that will help find out if a study has been published in a journal? Or am I just thinking about this in the wrong way? If it were a properly done study, then it should be in a scientific journal and not just a PDF posted on some website. Is that correct? I misread your words and I apologize for that. You said, “The fact that this work is mostly conducted by untrained people is also a big warning flag.” I thought you were talking about this specific study in particular but, clearly, you were making a generalization about studies like this. Would there be a way to determine if this or any other study was done by untrained people? Yes, you have that right. It would not just be thrown up on a website or sent to the press or social media pages. It would appear in a scientific journal. For published studies, the authors, their affiliations, and usually their credentials are all listed. For much of this work, it’s not even clear who the authors are and it would take a lot of detective work to try to figure out their background. Thank you once again, Dr. Taft. The insights you share and the information you provide are extremely valuable and useful. In writing my response to Nick, I reread your article and finally understood what you meant when you said, “…a major overarching problem with this research is that veganism is not properly represented.” How can we even have a discussion about which method of advocacy is more “effective” if the study animal welfare groups reference doesn’t properly represent the methods? That point right there makes this “study” completely useless. I took the liberty to translate it in french, on my blog. Thank you – it’s an honor. To quote Hitchens: “Extraordinary claims require extraordinary evidence.” If these welfarist organizations refuse to have their findings properly peer reviewed, we can simply ignore their claims. Also, one should not change a rights movement based on a single report. Their hypothesis must be tested repeatedly. To quote Carl Sagan: “Extraordinary claims require extraordinary evidence.” If these welfarist organizations refuse to have their findings properly peer reviewed, we can simply ignore their claims.